Madison Square Garden says it is not requiring&nbsp;the Rockettes to perform at&nbsp;the inauguration of President-elect Donald Trump, contrary to an earlier report. Madison Square Garden says it is not requiring the Rockettes to perform at the inauguration of President-elect Donald Trump, contrary to an earlier report. Madison Square Garden is denying that the Rockettes are being forced to perform at Donald Trump’s presidential inauguration after an entertainment website reported that the dancers were told they could not opt out. 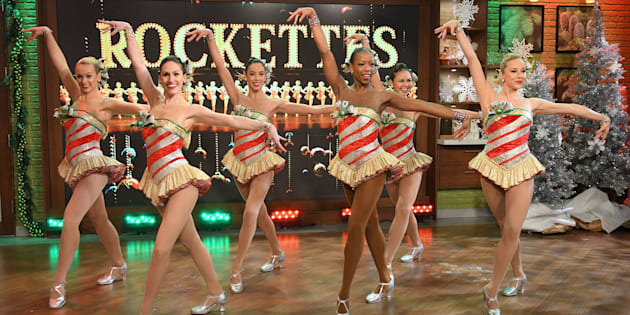 BroadwayWorld reported that the American Guild of Variety Artists, the union that represents the Rockettes, sent the dancers an email telling them they could not boycott the event after one woman objected to performing. The email reportedly referenced James Dolan, the executive chairman of the Madison Square Garden Company. In a Thursday Instagram post that has since been deleted, Rockette Phoebe Pearl wrote that she was “embarrassed and disappointed” to perform for Trump. “The women I work with are intelligent and are full of love and the decision of performing for a man that stands for everything we’re against is appalling,” the post read. Pearl did not respond to The Huffington Post’s request for comment. This story has been updated to include Phoebe Pearl’s statement on Instagram and a statement from the American Guild of Variety Artists.